If you are lucky enough not to need your vet for an emergency this year, you should still see them at least once: for your horse’s annual vaccinations. Disease prevention is an essential part of proper horse management, but there is now a wide range of vaccines available and understanding which ones to have is essential and need not be seen as confusing. Vaccines work by pretending to be specific viruses or bacteria and priming the immune systems of your horse against them. Subsequently, if those real pathogens infect your horse, they can fight them off before they are able to multiply and make the horse ill. Vaccines, typically, either contain killed or live agents of the disease that they protect against but, most importantly, those vaccinal agents are no longer able to cause disease. The first time that your horse encounters an attacking microorganism their immune system does not react very strongly. 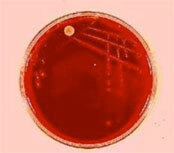 However, the immune system is able to ‘remember’ what individual pathogens look like. The next time the body meets that pathogen, the defence response is much stronger, killing them off quickly before they make the animal ill. The more times the body has met a specific pathogen, the greater the strength of the immune system against it. Think about how all humans get chicken pox the first time they encounter it but that one exposure is sufficient to result in immunity for the rest of their life. Most vaccines require a primary course of two injections 6 weeks apart to initially stimulate the immune system. The horse’s ‘memory’ of the vaccine only lasts a certain time and different vaccines will require boosters at different times. For instance, herpes virus tends to require 6 monthly boosters while influenza requires a 6 month first booster following by annual vaccinations. Equine Influenza spreads very rapidly so vaccination is usually compulsory for horses entering competitions. You should make sure your own horse is fully protected before it mixes with new animals. Newborn foals should start their flu vaccinations from four months of age, although young animals may require more initial vaccinations than an older horse due to the persistence of antibodies that they received from their mother. The initial course for an adult is two injections given 4-6 weeks apart, with the first booster given 6 months later. Following this first booster, the manufacturer’s recommendation for subsequent vaccination should be followed; normally this means your horse will require a booster every 12 months. For most governing bodies this is sufficient for competition. However, some organisations (e.g. the FEI) are now insisting on a minimum period of 6 months between vaccinations. Be careful to check the rules of any competition before you leave for an event. If the booster is given even one day later than the specified time period, your horse will be required to start a primary course all over again before it can be allowed to compete. Vaccines against Equine Herpesvirus are only effective for a short period of time so, following an initial course of two injections 4-6 weeks apart, booster vaccinations are required every 6 months in order to protect against respiratory disease.In order to prevent abortion, pregnant mares should be vaccinated during their 5th, 7th and 9th months of pregnancy. Tetanus vaccination starts with an initial course of two injections given 4-6 weeks apart. 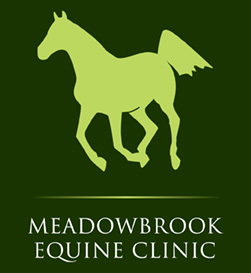 Side effects are not common, but horses may, rarely, become stiff or sore around the site of injection. Following the initial course, booster injections should be given at least every one to three years, depending on the vaccine manufacturer’s instructions. If your horse is not fully vaccinated against tetanus, then an injection of tetanus ‘antitoxin’ should be given if your horse gets a cut. This antitoxin is not a vaccination but it will stop any toxin produced by the bacteria from attacking the nerves and causing paralysis. Once the antitoxin has worn off (after just a few days) your horse will be unprotected again, and should be vaccinated against tetanus as soon as possible. The three vaccines mentioned above are the most common vaccinations to give riding horses in the UK. In addition, there are other vaccines that are usually only used in high-risk areas or in breeding horses.Rotavirus can cause diarrhoea in young foals, but it rarely affects older animals. An equine rotavirus vaccine is available to stimulate immunity in mares so that their milk contains specific antibodies which give their foals protection during their first few months of life. Pregnant mares are vaccinated during their 7th, 9th and 10th months of gestation. Equine Viral Arteritis is rarely seen in UK. It can cause abortion in pregnant mares, and control measures are in place to keep the disease out of the country. An EVA vaccine is available and many stud farms vaccinate their stallions to prevent them becoming infected and spreading the disease. However, vaccination is not currently required in the general horse population in the UK and mares being used for breeding do not usually need to be vaccinated. Several years ago, a vaccine against Strangles became available but this was withdrawn from the market recently and it is unclear when, or if, a new vaccine will be available.